Véhicule Press came about during the halcyon days of the 1970s along with a baker’s dozen of literary presses that included ECW, Ragweed, Turnstone, Thistledown, and The Porcupine’s Quill. The press began in 1973 on the premises of Montreal’s Véhicule Art Inc.— one of Canada’s first artist-run galleries located in what was once the legendary night club Café Montmartre on St. Catherine Street West — using equipment inherited from Kenneth Hertz’s Ingluvin Publications, and an ancient printing press that had been abandoned by a member-artist of the gallery. We were a grass roots outfit — learning typesetting, layout and printing — that produced catalogues, posters and invitations for artists, and pamphlets for community and political groups. In 1975 the press became Québec’s only cooperatively-owned printing and publishing company. Simon Dardick and Guy Lavoie were general editors; Ken Norris, Artie Gold, and Endre Farkas were the poetry editors. We often published poetry books using offcuts, the paper remaining after a printing job has been trimmed. This led to some unusual small books like The Concrete Island: Montreal Poems, 1967-1971 by George Bowering and (1977) and David McFadden’s I Don’t Know (1978). 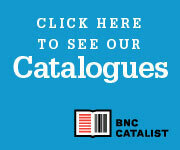 During this period, in addition to publishing our own books, we also distributed a clutch of Montreal literary presses. For its name the art gallery actually chose “véhicule” because one of the dictionary meanings is “the transference of ideas.” Guy Lavoie designed the press’s running horse logo, as a visual pun on another sort of vehicle. It's still the logo Véhicule uses today. In spring 1981, the co-op was dissolved and Simon Dardick and Nancy Marrelli continued Véhicule Press from a greystone situated in Montreal’s downtown Plateau Mont-Royal district. Michael Harris became the editor of the Signal Editions poetry series, succeeded by Carmine Starnino in in 2000. In 2003 the Esplanade Books fiction series edited by Andrew Steinmetz was created. Dimitri Nasrallah took over the editorship in 2014. Since 1981 we have published a mix of poetry, fiction, and non-fiction (urban issues, history of jazz, Jewish and Quebec studies). An eccentric passion has been to bring Canadian pulp noir novels from the 1940s and fifties back into print, in the Ricochet series edited by Brian Busby. Véhicule Press has long been at the centre of much of Montreal’s literary activity and has chronicled the writing of emerging and established writers from Quebec and across Canada. In the early eighties we published the first critical mid-career evaluations of the fiction of Margaret Atwood (Violent Duality by Sherrill Grace) and the poetry and fiction of Michael Ondaatje (Spider Blues edited by Sam Solecki). In this same period we published Spreading Time: Remarks on Canadian Writers and Writing (which turned out to be Earle Birney’s only memoir), and Veiled Countries/Lives, Marie-Claire Blais’ only collection of poetry (translated by Michael Harris). We were very excited when Stephanie Bolster’s first poetry collection, White Stone: The Alice Poems, in 1998 won the first of our several GG awards. We feel that it is important to publish first-time authors. Translations from the French continue to be an active component of our list in poetry and fiction. For most of our forty-two years we have been a part of the Literary Press Group. We are incredibly fortunate to have such a national organization of committed publishers and staff that have truly achieved great things over the years. And what a congenial and supportive group we are! Thanks so much to the folks at Véhicule, especially co-publisher Simon Dardick, for teaching us a little more about his Press.